When searching for an online casino the first thing that you should look for is a casino which has a proven track record. In casinos which are less than two years old this is much harder to prove, so in this case you should try and find out if the casino is controlled by a trustworthy operator who has a proven track record within the online gambling industry. You can generally find out all of this information simply by reading several different reviews for the same online casino. You should also try to find casinos which are powered by leading software providers. For example the best online casinos in the world tend to be powered either by Microgaming, Playtech or Net Entertainment (aka NetEnt) software. You may have found that you enjoy playing on Playtech games as opposed to games from Microgaming, or you might prefer the games from NetEnt rather than the ones from Playtech or Microgaming. This is why it’s also a good idea to ‘shop around’ and practice on the games in the free play mode prior to opening an account with a casino. You don’t want to sign up to any old casino and then to find out that you don’t really like their style of the games. Alternatively, you could be a fan of Microgaming, Playtech AND NetEnt casino games, which means that you would need to open accounts with multiple online casinos because there are currently NO online casinos which house Microgaming, Playtech and NetEnt games all under the same roof. Some online casinos are powered by multiple software providers, but none are powered by all three of these leading providers. There is nothing stopping you from opening accounts with more than one casino and in actual fact you will find that more and more online gamblers today do active accounts open with more than one online casino. You may also find that your favourite slots might have been developed by NetEnt (or Playtech), but your favourite table games might come from Microgaming, or vice versa, which also means that you would only be able to play on this kind of variety by opening accounts with more than one casino. 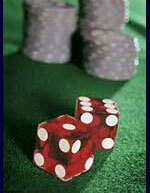 All of the casinos that we have reviewed on this site contain games from these three leading software providers. These casinos all have some great bonuses for you to take advantage of and they are all controlled by some of the most trusted names in the industry. The best thing to do would be to visit our review section where you can find a list of some of the best online casinos. This section can help you pick an online casino without just settling for any old random casino that you may have found while searching online yourself. The ones that are featured on this site have a diverse range of games for you to explore and they have everything a player could possibly want from an online casino.